JJJ Specialty Co has a very simple product with a big promise. It will enhance the beauty and value of your home at a fraction of the cost of replacement windows. The product is a window grille, custom designed to fit any size or shape window. They are made of oak, pine or vinyl and are available in a variety of profiles. They are inexpensive and easy to install which makes them perfect for the DIY market. Window grilles are millwork products, but it is very difficult to convince cash and carry lumber dealers to carry them. JJJ’s immediate solution was to establish a separate company, called FixHome. 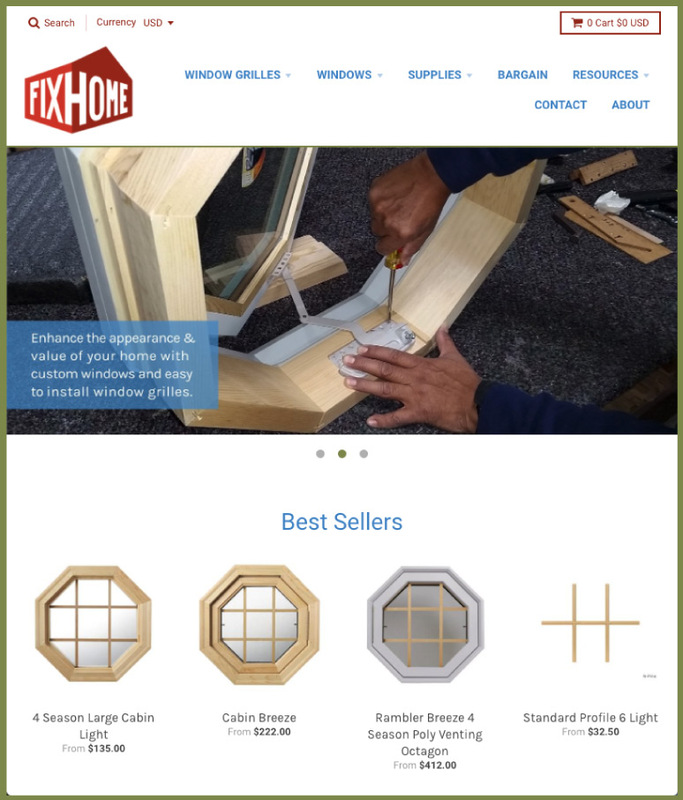 Next because we worked with JJJ in the past on marketing their custom windows, they had Kazoo Branding create a new identity for FixHome and to build a website that would allow direct sale of the window grilles to the consumer. We began to apply the new identity and graphic standards to the new website we created in Shopify. We stayed true the brand while at the same time staying within the Shopify templates. Now that the FixHome store is up and running successfully, next steps will be draw attention to the store through proven SEO techniques. Make sure you explore the new website here.